Just last month we celebrated our two year anniversary! Our anniversary was on a Monday and I knew that I wanted us to have a quiet evening at home and enjoy dinner with our China and crystal. With that being said we still wanted to have a bit more pomp and circumstance for another year of marriage. We celebrated the week before at Revolution, a local fine dining restaurant in downtown Durham. Revolution was hosting a special Flavors of Tuscany dinner with wine pairing that seemed to be the perfect way for us to celebrate and it was! After our wonderful Tuscan dinner at Revolution we enjoyed the rest of the week and came to the weekend. 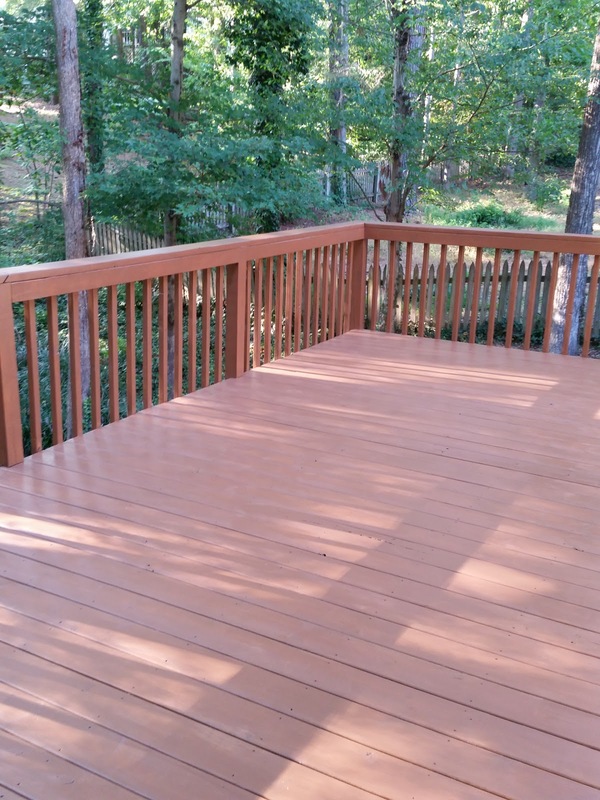 We put our marriage to the test as we refinished our back deck! 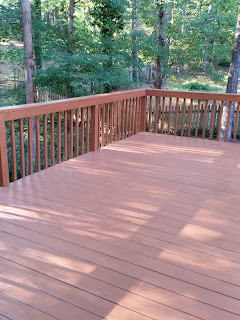 On Saturday we stripped and cleaned the old wood then on Sunday we put two coats of stain on the deck. Lots of hard work but so worth it. And we make a good team - but no surprises there! As I already mentioned I knew that on Monday we would want a quiet evening where we could relax and reminisce about our two years of marriage. I thought the perfect meal would be to take some pointers from our wedding reception remix dinner that I worked on for our first anniversary. Our first course was a mixed greens salad with sweet tea vinaigrette. Our entree was a lemon orzo stuffed chicken breast with peas, garlic green beans, and macaroni and cheese. And dessert was Daisy Cake cupcakes just like the wedding cake. We set the table with our Brocade China, Lismore Essence crystal, and sterling. Cheers to two years and many, many happy years to come - I love you Patrick!